Today’s building owners and managers are experiencing some unique pressures. Always interested in finding ways to cut costs as well as attract and retain tenants, they are now also looking to operate their facilities in a more environmentally preferable manner. Green is no longer just “in,” it is how more and more owners/managers believe they must operate their facilities in order to meet tenant demands and compete in the marketplace. Not only are Greener facilities healthier to work in and have less environmental impact, they also make good business sense. Studies indicate that Green cleaning systems and incorporating the use of other environmentally preferable products and services can actually lower operating costs. Furthermore, studies also indicate that many high-rise office structures command rents as much as ten percent higher than comparable office space in non-Green buildings. Restrooms, in particular, are receiving the most attention and scrutiny. As owners/managers look for new ways to cut costs, while protecting the environment, restroom areas are providing ample opportunities to reduce waste. Already, most facilities have sensor-controlled, low-flow toilets, sinks, and urinals as well as automatic dispensing systems for paper and soap to help regulate usage. But, many are now considering the installation of waterless or no-flush urinals as another way to cut costs, reduce water usage, be Greener, and secure an additional benefit—to help maintain their restrooms. Waterless urinals allow gravity to drain urine into a vertically-designed trap/cylinder, which is filled with a thin layer of liquid sealant that sits in the drain area of the urinal. As urine passes through the trap/cylinder and sealant, which also blocks and prevents odors from being released into the air, it eventually overflows into a conventional drainpipe, similar to a traditional urinal. Usually, the first savings owners/managers realize when transferring to waterless urinals is how much less expensive they are to install. This is because there are fewer installation requirements. As the name implies, waterless urinals do not use water. As a result, none of the normal plumbing paraphernalia—water hook-ups, flush handles, and sensory devices—is required. Although waterless urinals do require plumbing for drainage, this is a relatively minor part of the installation charge. But another way waterless urinals save money may not be as obvious. The cost of pumping water to and through a facility can be expensive. This cost is initially paid by local water departments, but ultimately, building owners, renters, and taxpayers must foot the bill. In the US, it is estimated that it can cost anywhere from $.80 to $2.00 per gallon of water to be delivered to a facility, used, and then drained away. 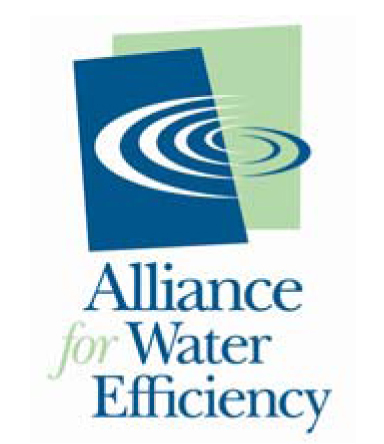 Reducing water usage and incorporating Greener operating procedures go hand-in-hand. Most building owners/managers are very surprised when they find out how much water a urinal uses during the course of a year. Depending on the type of facility, the number of males using the facility, and other factors, the amount of usage can be staggering. · In an office with one urinal and 25 male workers, one urinal may use more than 50,000 gallons of water per year. · A restaurant with three urinals and an average of 150 male customers per day will use at least 72,000 gallons of water annually. · An educational facility with 10 urinals and 300 male students can use as much as 330,000 gallons of water per school year—approximately 185 days. Finding ways to more efficiently conserve water use is not only Greener and environmentally preferable, but for facilities seeking Leadership in Energy and Environmental Design (LEED) certification, it is almost mandatory. The LEED rating system offers up to five points (out of approximately 32 required) toward certification for buildings that incorporate measures to reduce water usage. Installing waterless urinals is often one of the easiest and most significant ways to accomplish this. For more information on waterless urinals and their many benefits, please contact a Waterless Co representative here.